Following these slow cooker safety tips will reduce the likelihood of food poisoning and crock-pot-related accidents. Although slow cookers are relatively safe, there are a few precautions that should be followed in order to prevent accidents and food poisoning, particularly when cooking on the Low setting. Cook meat and poultry on High for at least an hour before switching to the Low setting. Leave the lid on the slow cooker, especially during the first hour or two of cooking. Each time the lid is removed, it takes about 20 minutes to get back to the previous temperature. Cook ground meat before adding it to the slow cooker (except when making meat loaf). When cooking meats, particularly meat loaf or poultry, a meat thermometer should be used to ensure that the dish is fully cooked (temperature should reach 170 Fahrenheit or 77 degrees Celsius, according to Health Canada). Ideally, whole large roasts or chickens should not be cooked in the slow cooker. Cut meat into smaller pieces to ensure that heat permeates to the center (If cooking a whole roast, use a meat thermometer to make sure that the center reaches the required temperature). If the power goes out during cooking, finish using another method such as the oven—don’t resume cooking the meal in the slow cooker, as it will have lost most or all of its heat. Don’t fill the slow cooker more than two-thirds full. Never put frozen meat in a slow cooker—meat should always be thawed, and ideally, vegetables should be thawed as well so that they don’t bring the temperature down when they’re added. Don’t reheat food in a slow cooker. When cooking at high altitudes (3,500 feet above sea level), cooking times should be 50% longer, or 1.5 hours for every hour called for in the recipe. Don’t partially cook, refrigerate, and then finish cooking meat. If preparing ingredients the night before, don’t store prepared meats and vegetables together—use separate containers. Don’t refrigerate prepared ingredients in the slow cooker’s insert—the insert will take much longer to heat up in the slow cooker after it has been chilled. Don’t use the slow cooker to defrost meat. Don’t use the slow cooker if the insert is cracked or severely scratched. Use a short cord that can be kept out of reach of pets and children. If the slow cooker insert is hot, it shouldn’t be placed on a cold counter surface after removing or it may crack. Place a dish towel underneath so that it doesn’t come into contact with the cold surface. Don’t run cold water over a hot slow cooker insert. For more cooking articles, see the Recipes and Cooking Tips page. For food and drink articles, see the main Nutrition and Food page. Pye, Donna Marie. (n.d.). 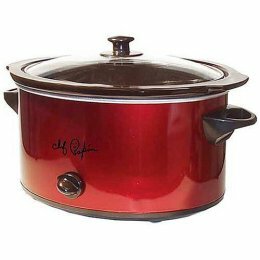 “Slow Cooker Safety Tips.” CanadianParents.com.